Every single website out there seemed to feel the need to publish some kind of a “list”, detailing the best games of the past year. I suggest we skip all those and concentrate only on Gamasutra’s offering: The 99 Best Free Games Of 2009. Straight from Gamasutra.com: a huge, in-depth analysis of the RPG genre, with 10 CRPG and 10 JRPG under the microscope. Go read. 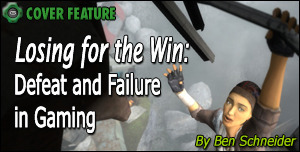 This is an old, but great article from Gamasutra, written by Ben Schneider.